Product prices and availability are accurate as of 2019-04-21 05:03:27 UTC and are subject to change. Any price and availability information displayed on http://www.amazon.com/ at the time of purchase will apply to the purchase of this product. 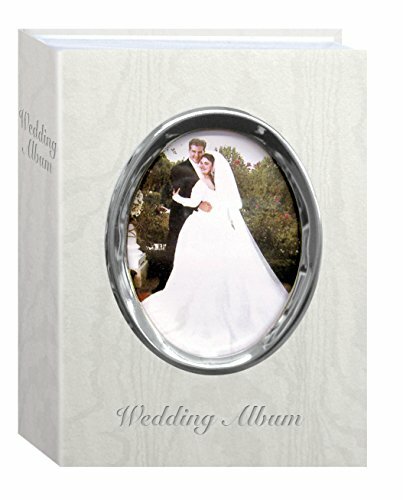 This ivory moire cover album features a silver tone oval frame and "Wedding Album" text. It holds 100 4"x6" photos in optically clear pockets with shaded paper backgrounds and memo writing areas. Photos are displayed one per page. The album measures 7.5"x5.25"x2.25". Photo Safe: Acid, lignin and PVC free.